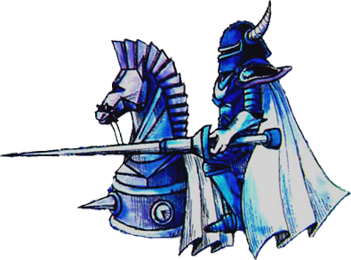 Rebonack is the third boss in the Legend of Zelda II: Adventure of Link and also a mini boss in the Three-Eye Rock Palace. 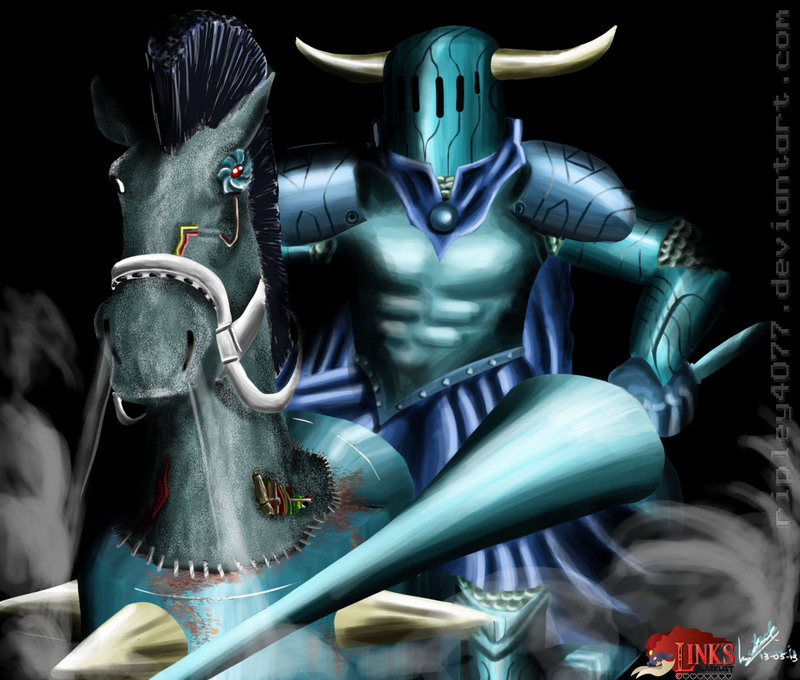 He is a strong Iron Knuckle in a blue armor who rides a floating mechanical horse, after being hit a few times, the horse will run away and Rebonack will attack Link with different attacks than before. Like a few other Zelda bosses he made it into the Captain N cartoon series (twice even). “I picked Rebonack or Rebonakku which most likely stands for Levo-Knuckle when correctly translated, it’s Barba al over again! He is the Island Palace boss in Zelda II ‘The Adventure of Link’, . Even after you separate him from the mechanical horse he is still more powerful than a standard Blue Knuckle since Rebonack has better blocking skills.